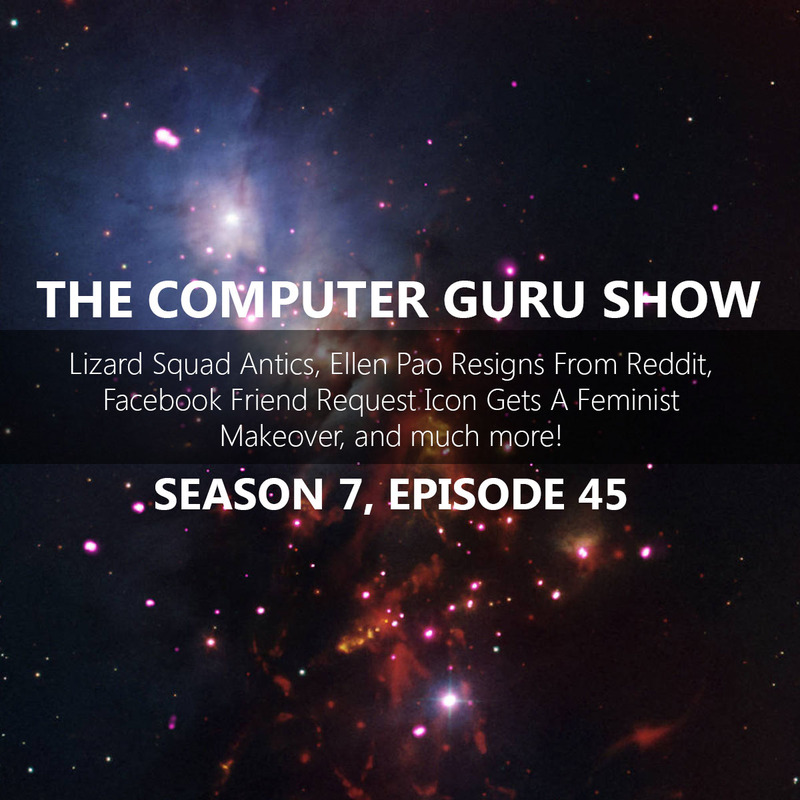 Podcast S7E45 – Ellen Pao Resigns from Reddit, Lizard Squad Antics, Facebook Icon Makeover, and more! Ellen Pao Resigns from Reddit, Lizard Squad Antics, Facebook Icon Makeover, and more! Sorry it took so long to get the podcast up this time guys and gals, Rob was moving over the weekend and didn't have access to the interwebs to make it happen. He's back in action now though, and here's the latest episode of the Computer Guru show!